Henley Symphony Orchestra and Musical Director Ian Brown, visiting Reading Concert Hall for the first time, offered Elgar’s ambitious Falstaff Symphonic Study, Weber’s Clarinet Concerto No. 2 (Julian Bliss) and Beethoven’s Symphony No. 7. A musical biography of Falstaff does not translate easily into the accustomed lushness of Elgar’s repertoire. Its complexity makes it uncomfortably ‘modern’ for many and so less accessible. Yet it is brilliantly orchestrated and considered by Elgar himself to be one of his finest scores. The HSO did it full justice, overcoming undoubted technical challenges as they fought through its four sections. The cellos, already dominant in the score, were outstanding and principal Alison Wagland’s solos were impeccable. The orchestra’s handling of many prolonged contrapuntal passages in the first section was remarkable. The slow second offered some welcome respite, its central violin solo performed exquisitely by leader David Burton. The lively, string-dominated third movement was pulled off well, interspersed with occasional brass and percussion fanfares that filled the ample acoustic. The final section included some great tuba and trombone writing, more cello solos and confident restatements of the main Falstaff and Prince Hal themes. Next, in complete contrast, came the Weber, dispatched with total mastery by the young yet already well established clarinettist, Julian Bliss. His tone was supreme, while both staccato articulation and fast legato runs were unbelievably effortless. In the slow movement, he also showed that his pyrotechnics could give way to highly sensitive melodic phrasing. The overall rendition of Beethoven’s 7th symphony was both tight and demonic, an ideal combination for the work. The Allegretto might have started slower, allowing time for the intensity to grow, but it was beautifully played. The last movement’s cracking pace sacrificed some of the detail in upper strings as the bars hurtled past like telegraph poles viewed from a bullet train, but the resulting energy, volume and climactic force were justification enough, and the audience loved it. Upcoming HSO events include the Xmas concert at Christ Church, Henley, on 15 December and the spring concert at The Hexagon on 14 March 2014. 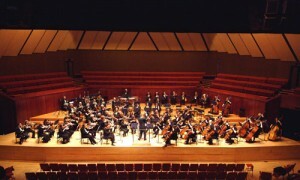 For HSO membership information go to www.henleysymphonyorchestra.co.uk.